Love the great taste of mineral water? 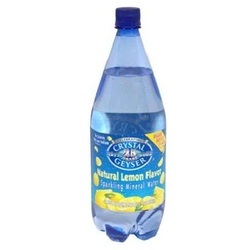 Now with 25% more than before you can enjoy Crystal Geyser's natural lemon flavored sparkling mineral water again or try it for the first time. With no calories and very low sodium you can obtain the ultimate refresher with a natural twist of lemon.